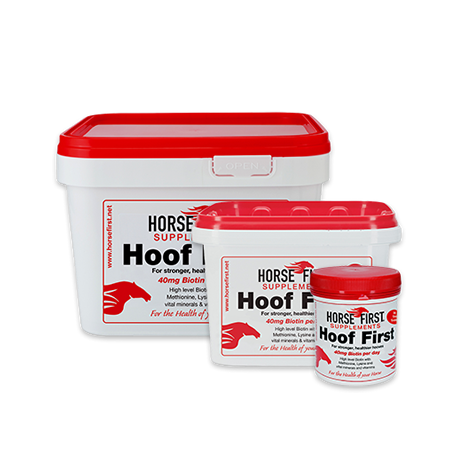 Hoof First unique formula contains high strength Biotin with all the essential vitamins and minerals to produce a healthy hoof. 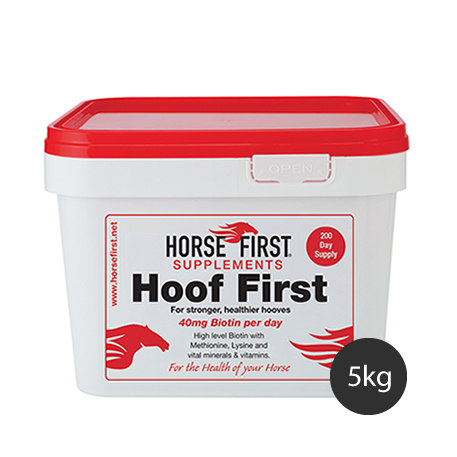 It is well known that Biotin will grow horn but at HORSE FIRST we want to give you more, a strong, healthy hoof with continuous growth. 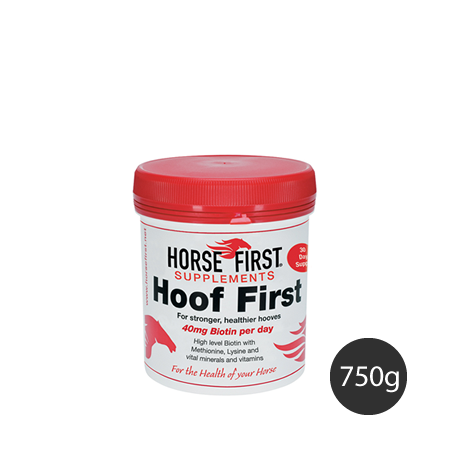 Hoof First grows hooves which are better for your farrier to work with, and fights problems such as thin soles, cracked, chipped or weak hooves, contributing to lost shoes which are costly. "We've got healthy hooves nailed, to avoid the extra expense of lost shoes." 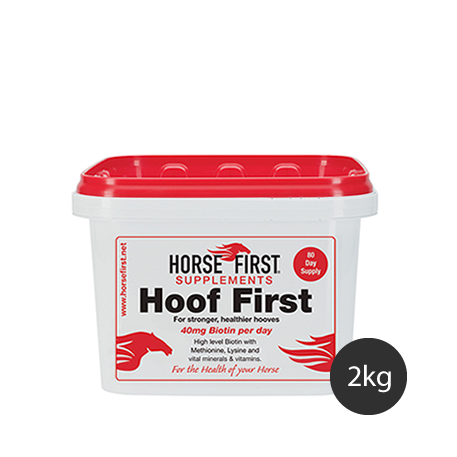 Horses: Add one 25g scoop to feed daily. 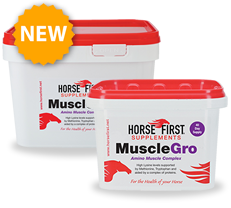 Ponies and Foals: Add half a 25g scoop to feed daily.